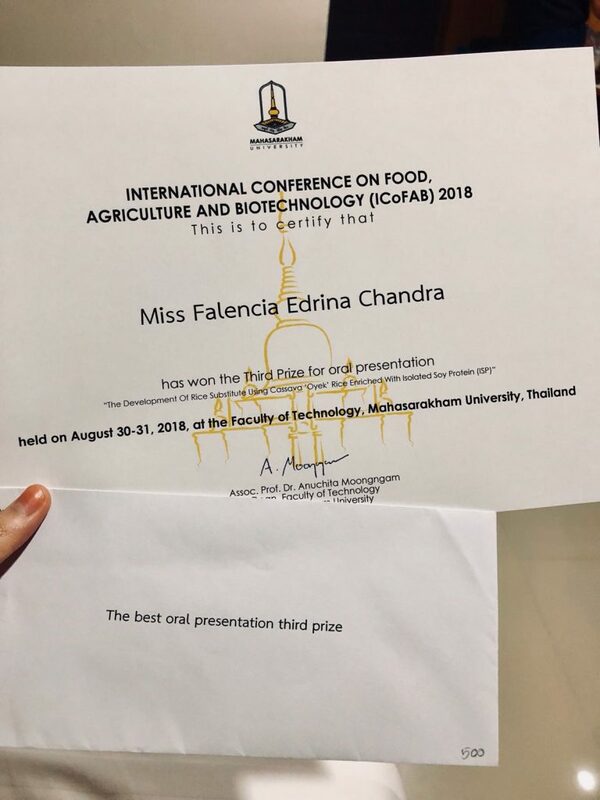 One of SGU’s Food Technology students, Falencia Edrina Chandra, has won the third place in Oral Presentation category during the International Conference on Food, Agriculture, and Biotechnology (ICoFAB) 2018. 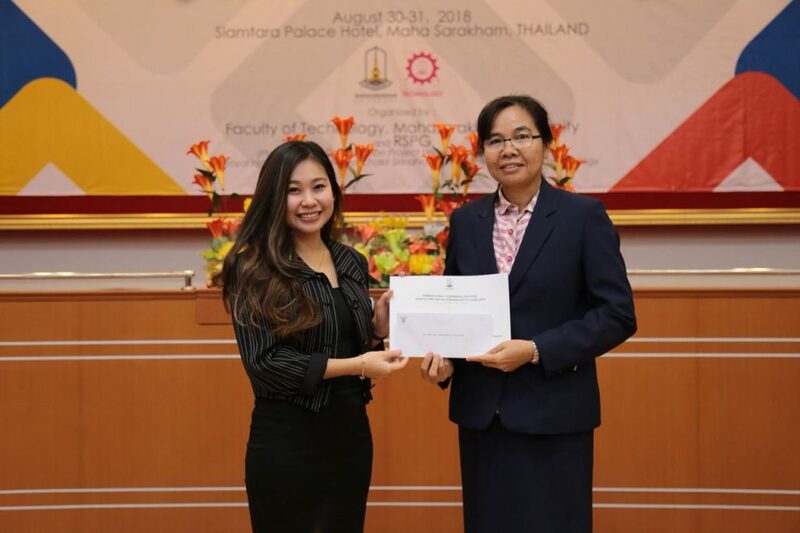 The conference was conducted by Faculty of Technology, Mahasarakham University, Thailand, on August 30-31, 2018. Falencia presented her project entitled “The Development of Rice Substitute Product Using Fermented Cassava ‘Oyek’ Rice Enriched with Isolated Soy Protein (ISP). This project is also her final project for thesis defense in SGU. Congratulations, Falencia! We are really proud of your achievement.